← Richmond Statues: Working on a book! Unlike much has been written about the Civil War heroes that line the world famous Monument Avenue, the pantheon of tributes at the Capitol, the outstanding accumulation at the Virginia Museum of Fine Arts and the noteworthy tombs at Hollywood Cemetery this volume discovers nearly 100 honors that are positioned elsewhere throughout the city. 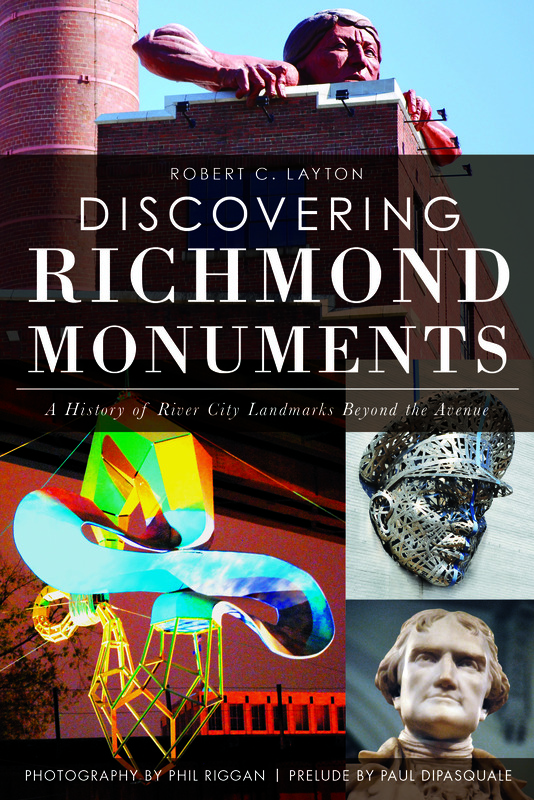 The book will have more than 90 photos and information on more than 120 statues around the city of Richmond, Virginia, and should be available in early May, please stay tuned and thank you for your support. The author is Bob Layton; photographer, Phil Riggan; sculptor Paul DiPasquale wrote the forward.